the idea that subjecting human behavior to governance by rule is, all things, considered, a morally good thing to do–is gaining adherents, worldwide, as the force of positive, international law extends its reach around the globe, and domestic law, both here and elsewhere, deepens and broadens its penetration into social life…law is gaining momentum as the preferred vehicle for control of social relations between nations, entities, or individuals. Professor West then cited the ubiquitous Positive School Climate mandates as an example of how “the schoolyard playground, once a sphere of insulated political sovereignty dominated, Lord of the Flies style, by bullies, has been tamed by the intrusion of positive law.” Now, I am not as optimistic as Professor West on the ability of new rules, learning standards, and Graduate Profiles to remake human nature, but there is no question whatsoever that the schools intend to try and do just that. Nor is there any question that this admitted Progressive desire to remake human nature, with frank admissions like “the goodness of law lies in its paternalistic capacity” or “subjection of human behavior to the governance of rules, at times, better promotes human wellbeing than does the sovereignty of choice” also hides behind banners about School Choice, Classical Education, Conservatism, Founding Principles, holistic education, and learner agency. It can even be found, most alarmingly, as Chapter 1–“Character Development and a Culture of Connectedness” of the Final Report of the Federal Commission on School Safety released December 18, 2018. It’s no secret I believe that there is a correlation in both timing and locations between the push to use schools to neurally install a new code of ethics and morality to drive a cultural evolution, and school shootings, where the shooter clearly sought mass murder on the school grounds. It is horrific therefore to follow the cited materials in the Chapter 1 bibliography to people who make no pretense of wanting to turn the human mind and emotions into a system that can be manipulated for purposes of political transformation. I guess that’s what we get for a federal Ed Department staffed with Jeb Bush lackeys. If the federal Commission cited this paper called “Towards a Science of Character Education” https://irp-cdn.multiscreensite.com/e9b8fc57/files/uploaded/berkowitz_bier_mccauley_jce_2017.pdf , which they did, then all the aims of what is in its bibliography come in as well. I have read many of those books and articles over the years. I know where all this is going. I know precisely what Professor West means by using the law as a positive force to remake social relations and that is exactly what that Federal Commission intends to have done, at a local level, to be binding on people and places and easier to monitor. Insisting that the answer to school shootings is to use the PRIMED character education program so that schools can “help youth internalize ethical and performance values. Effective programs focus on integrating activities that promote self-growth, such as personal goal setting” is to make schools the vehicles for the Marxian moral revolution at a subjective level that both Uncle Karl, and his acolyte John Dewey, said would be necessary for the desired transformation. Do you believe the purpose of education is for students “to question and rethink their ideals, to build their deep desire for inventing themselves“? If not, wouldn’t you want to know if the remedy of a new kind of education to supposedly avoid mere workforce training actually used the techniques of transformative learning? Wouldn’t you want to know the documentable transformative aims of the practices being recommended as the remedy? I covered Harvard education professor Howard Gardner’s books and goals for a reimagined vision of education and its ties to Lev Vygotsky in my book Credentialed to Destroy so I was quite taken aback to learn that he had a new book come out in 2011 called Truth, Beauty, and Goodness Reframed since it essentially tied the motto of the remedy–Classical Education–as a solution to the hyped concerns over the Common Core to Ken Wilber’s Integral Theory. It turns out to be Integral Theory’s motto too. How’s that for a convergence? In the book Gardner talked about his work on Ethics with Mihaly Csiksentmihalyi without noting that it was Csik and the General Evolution Research Group’s Achieving Excellence transformative template being piloted in certain Colorado districts (introduced in the 80s) that had been used in the Columbine district for years before that 1998 tragedy. we reserve the term moral for these interactions that exist between or among human beings by virtue of their common humanity, their mutual recognition of this fact…socialization by the community–whether carried out in a harsh or benign fashion–entails broadening and leavening the sense of the good so that it becomes less self-centered, less egocentric, more cognizant of the welfare of other members of the group, and more alert to the ‘common good’. I contrast morality, a neighborly concept, with ethics, a concept appropriate to complex societies…[where] one thinks of oneself in terms of roles. The ethics of roles entails a crucial additional component…that feature is the concept of responsibility. When Gardner mentioned responsibility in italics he wanted students to assess “what is ‘good’ (or ‘not good’)” by applying these abstract notions to “human relations: the relations that govern how we human beings act toward one another, locally and globally.” That would be the same as Professor West’s belief that human behavior can now be governed by positive law. I guess Professor Gardner would add “and student-centered learning via prescribed standards and goals of what is to be learned as the basis for future behaviors and motivations to act.” I want to end with this recent essay https://www.lawliberty.org/2018/12/11/civility-and-the-challenge-of-ordered-liberty/ because it illustrates well how the same Progressive concepts and ends can be pitched with different terms by someone with ties to supposedly Conservative publications and think tanks. See what I mean about the banners varying, but how the remedies, destinations, and aims do not? If you read the whole essay, notice her citing of the National Coalition for Dialogue and Deliberation as an exemplar and remember we covered the Rockefeller Foundation-funded NCDD when we covered their advocacy of Communication for Social Change. Small world, isn’t it? Also, notice how Ms Hudson uses the terms democracy and republic interchangeably. Let’s finish with a piece of history I learned from Professor West’s book on Re-imagining Justice because it fits so well with what Professor Gardner wants–people working together to achieve desirable goals. Whether or not a government is republican, [Thomas] Paine urged, is entirely independent of the form it takes: a democracy, monarchy, or aristocracy all might be, or attempt to be, a republican government. Rather, a republican government is defined by its purpose, which is to serve the well-being of its citizens. Just like Professor West said was the purpose of Positive Law and where Professor Gardner wanted new notions of Truth, Beauty, and Goodness to lead. Do you know another word for something that is guided by purpose, whether italicized or not? A human system. All it needs apart from instilled purpose is shared sense and meaning-making. Precisely what all these visions of standards-based, student-centered education hope to instill. Control needed to be indirect and out of sight and especially embedded in situations where its presence would be binding but unappreciated. I wrote Positive School Climate in the margin of the book at that point and administrators insisting that all classrooms use Restorative Justice Practices as part of an obligation to practice positive behavior tenets. It’s coercive and intended to control future behavior. Desired attitudes, values, and beliefs get practiced until they become unconscious Habits of Mind, but what parent would be tracking at this level? What lawyer would follow the statutes, regulations, orders, and case law declarations to figure out the binding template if they did not have a school district for a client or work in the public sector? It was a good plan, but what is created to be binding has threads that can be followed authoritatively. To anyone who has ever called me a conspiracy theorist, I do not theorize, except in my kitchen when I am winging a recipe. I am, however, a very able Tracker of Openly Declared efforts at Colluding to use Political Power to bind people and places against their will to a vision of the future. Here we go again describing events that have occurred within the last week that have kicked the creation of the Active Society into high gear. Professor Etzioni wrote that the Active Society, in order to sell the necessary collectivism, would need a guiding vision. He asked “which creeds have sufficient transcendental force to overcome tribalism?” Tribalism had nothing to do with the Apache nor is it an excuse for a casino in a non-gambling state. Tribalism was a belief that the pertinent community to which a moral obligation of care and meeting needs was one’s family or at most the nation-state. This more “holistic and humanistic view of development…presented human development as a process of enlarging people’s choices and enhancing human capabilities and freedoms.” One is not free, in this view, if one’s needs are not being met and this TVET reimagining of high schools and call for planned economic development is all about economic justice and social equity for all. Now it is Saturday, October 24, and fed ED has embargoed its Testing Action Plan for release at noon that day. Since I am pretty sure that timing was not to provide reading material for bored football fans with long drives ahead, it appears to have been timed to make it to the Sunday edition of the New York Times. The Times hyped it as directing states to stop overtesting. http://blogs.edweek.org/edweek/campaign-k-12/Assessment%20Fact%20Sheet.pdf is the actual plan and as you can see, it calls for the very kind of formative assessment that the OECD laid out as the desired mandate for School Redesign two days earlier. The Plan, of course, also limits states from much testing of substantive knowledge anymore and thus prevents much chance of a well-stocked mind of the sort UNESCO began criticizing back in 1968 (two posts ago). How are these federal ‘guidelines’ for contextuating what must go on and doing it at the local level? Global mandates coming out of the UN and the OECD and being put into place by federal directives of what is desired, but unappreciated because of the slant of the news coverage even for those with some awareness. Now who needs to theorize about global conspiracies with these kind of explicit confessions? I will cover the implications of what is going on this week in Paris in the next post. In time hopefully for us to take precautions against what are clearly lethal arrows. Bubonic Plague, Locust Swarms, Collective Values Transformation, or Futures Redesign? If we were playing Compare and Contrast with that title we would notice that the commonality is clearly horrendously destructive acts or events. Yet the last two are clearly planned and likely to be invisible to most of the people affected by the designed shifts being imposed on them. The first two just happen periodically, but their presence and catastrophic effects are immediately visible. Which is preferable? Most of the trauma from the last two could be prevented if enough people globally were aware of the declared intentions, the foreseeable likely consequences, and the networks forcing the changes. That’s why I wrote the book Credentialed to Destroy and why I keep up this blog monitoring the current related shifts in real time. Welcome to Part Two of what I am calling the Treacherously Trying to Trap Us Trilogy. In the last post I laid out the existence of the Global CIFAL Network set up by the UN System starting in 2003 to get local officials on board with its agenda in education, the economy, and society generally. Today we are going to poke around a bit more into things designed to impact all of us, but beyond our line of sight. Since all my research has the effect of providing close to x-ray vision as I read and listen now, let’s pull some more plans into the sunlight while there is still time. Now before anyone says that stated purpose alone is no link to the UN System, let me remind us that the Center for Curriculum Redesign’s Charles Fadel touts IFTF’s work. But I can do better than that. On the last page, IFTF thanks “Dr. James Dator for providing the inspiration and methodological foundation for this toolkit.” Dator, a futurist professor in Hawaii, was Secretary General and then President for a decade of the World Futures Studies Federation, which IS part of the UN System and closely tied to UNESCO and its work in education and multimedia. So when the Kit urges people to “Re-Think: Examine your foundational assumptions about how the world works, how people behave, and what values you would like to see instilled in your society,” this is precisely the kind of Change Agent/social engineering work we also saw the CIFAL Network owning up to. So out-of-sight but closely tied to what is planned for US K-12 education we have this Toolkit proclaiming that “Government has seen little structural change in 200 years. For example, the US Constitution was created in the 18th century, and while novel and in many cases admirable, it couldn’t have anticipated 21st century social, technological, and political realities. Societies must re-examine the principles upon which governments are based, and think carefully about the values, beliefs, and metrics upon which to build governance for the future.” Can you say impose without notice or consent? How about jettisoning what is still valuable? It’s not just the UN asking the Club of Rome and the ValuesQuest Initiative to “contribute to the creation of the post-2015 Sustainable Development Goals Programme.” Those are all bad enough for us. The real danger to all of us would be a failure to appreciate the intention to reconceptualize the nature of the purpose of “the law” globally to make these transformations binding. Because details matter when the stated transformational plans are so dangerous, when the Club of Rome or IFTF or anyone else cites a troubling document, I try to find it. http://eruditio.worldacademy.org/files/Issue_1/reprints/Reprint-The-Global-Values-Discourse-W.Nagan-G.Jacobs.pdf When I notice that Nagan is a law professor at the University of Florida and believes the law can be a tool for “charting a better collective future for humanity based on universal values for sustaining a world order in the common interest,” I sit up and start taking meticulous notes. When the law is viewed as a means to force “social evolution,” I remember what Julian Huxley and Theodore Brameld wanted UNESCO to do (described in detail in my book) and know precisely what is envisioned for the 21st Century. The law can be used as means if someone wishes to “require fundamental changes in the normative foundations of global society in the 21st century,” but ‘can’ does not mean the results will not be comparable to the plague or a swarm of locusts in what is being destroyed. 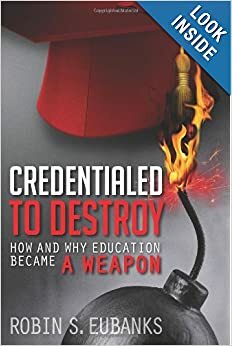 When that article describes an approach that “targets the institutions that control and regulate the production and distribution of these values,” K-12 education, the higher ed colleges of education, and the powers given to accreditation all fit the bill as such ‘institutions’. That’s why concentrating all those areas in a single person as described in the last post fits the desired template that “No One Can Stop Us This Time” so well. The fact that his business partner is tied to CIFAL and planned economic development at the state and local levels also fits perfectly in the vision “for providing the normative guidance for the future of political economy of the world community.” Now, I cannot tell you how unexcited I am to see K-12 education, state economic plans created under WIOA by governors, the law as a tool of forcing collective group decision-making and a redefinition of individuality for the 21st century, and all these other declared plans for “economic democracy” and new institutions that replace “faith in impersonal mechanism” with “institutions dedicated to the rights, dignity, welfare and well-being of all humanity.” France has been entranced by this vision for more than two centuries and look what happened there last week. The law as a “driving force for social activism” and a “powerful instrument for social development” as “New Paradigm for Global Rule of Law” phrased it, coupled to the Mind Arson and Psychological Manipulation I have been chronicling in K-12 education truly is intended to Treacherously Trap Us All, from the inside-out and all around, to the UN vision first laid out by Uncle Karl so long ago. Can we imagine the law and education of malleable minds dedicated to locking in the “Confucian idea of rooting morals and ethics in human interaction and reciprocal relationships” and the “African principle of Ubuntu. In effect, people realize their moral value in relation to other people”? No wonder we keep running into a communitarianism mandate everywhere from what Career-Ready Practices really means to the Positive School Climate mandates. Given that Milton Rokeach created the word Competency to obscure the presence of values manipulation in the new focus of K-12 education, having that word be the new global goal while the UN system and the Club of Rome write “values are actually what we use to guide our way through the possibilities and problems of life” is a dangerous way to hide in plain sight. It’s no accident values are also the focus of that IFTF Toolkit or the OECD’s Key Competences that PISA measures students in. ValuesQuest says that “it is our choice whether to have an unequal or equal society.” Factually that is not true, but we may all be sharing poverty as the consequences of these designs are imposed on all of us via education, the law, and the public sector generally. This is simply a currently connected oligarchy wanting to empower themselves with no way out for most of us. Knowledge though remains the way out. That’s why there is such a deliberate, coordinated, global attempt to circumscribe it in the 21st Century.